YCS San Diego: Dragon Duel Champion! Congratulations to our YCS San Diego Dragon Duel Champion! Dylan Graves bested the competition, and his brother Dawson Graves in the final using his ABC Deck, to take home the Championship Trophy! Reader, do we have an amazing Match for you or what. It’s yesterday’s Dragon Duel winner Dawson Graves, up against today’s winner and Dawson’s brother, Dylan Graves! These two Duelists are from nearby Bakersfield. Only one of them can become the YCS San Diego Dragon Duel Champion – this is sibling rivalry at its finest. Dawson is playing a Pendulum Magician Deck, while Dylan has chosen SPYRAL. The victor will not only become Champion – he’ll also get a trophy and one of each of the Darklord YCS Prize Cards! YCS Dallas Dragon Duel Championship Winner! 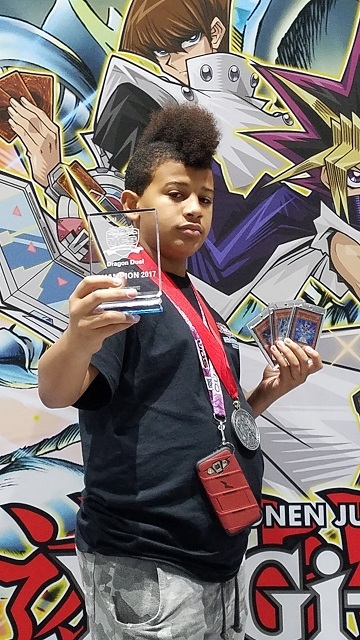 Congratulations to YCS Dallas Dragon Duel Championship Winner Diego Rey Diaz of Las Vegas, Nevada! YCS Toronto Dragon Duel Championship Winner! Congratulations to YCS Toronto Dragon Duel Championship Winner Charley Futch! Congratulations to our newest North America WCQ Dragon Duel Champion! Congratulations to the Winner of the 2017 Central American Dragon Duel World Championship Qualifier! Congratulations to David Alexander Villatoro from Guatemala City, Guatemala, who will be representing Central America at the Yu-Gi-Oh! TCG Dragon Duel World Championship! 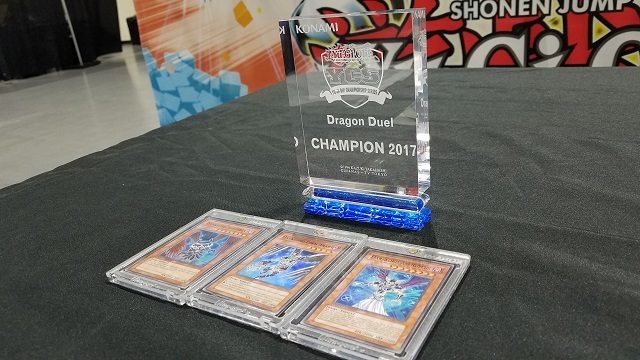 Congratulations to YCS Pittsburgh Dragon Duel Championship Winner Justus Long! It all comes down to this! Connor Perrotta, from Rome, NY, won today’s Dragon Duel tournament. He’s up against yesterday’s winner, Justus Long from Xenia, Ohio. While the regular Dragon Duel is a Sealed Deck event, this time we’re using Constructed rules! 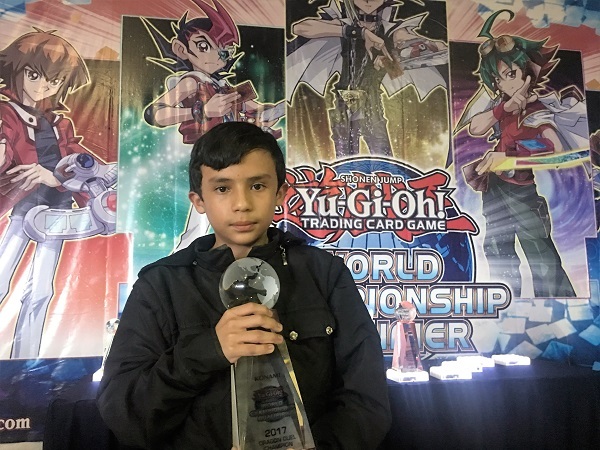 Congratulations to YCS Bogota, Colombia Dragon Duel Championship Winner Gabriel Leyva! YCS Denver Dragon Duel Championship Winner! Congratulations to YCS Denver Dragon Duel Championship Winner Diego Diaz!